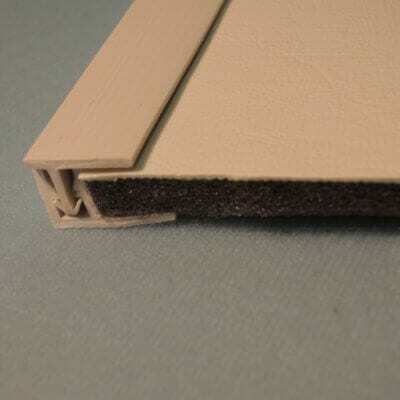 Specially developed edging trim moulding for headlinings etc. 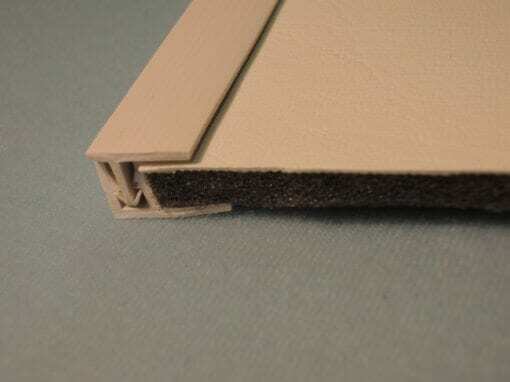 Bond the female trim onto the fibreglass, plywood.metal etc using the self adhesive edge trim bonding tape. Lay the lining up to the female trim before inserting the male trim into place. 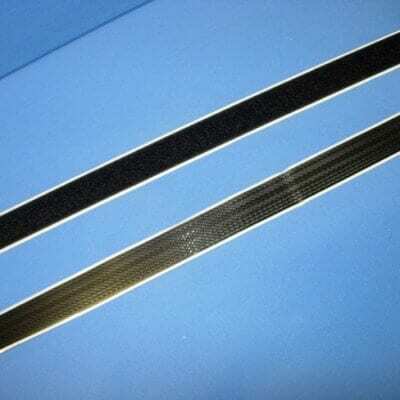 Specially developed edging trim moulding for headlinings etc. Bond the female trim onto the fibreglass, plywood.metal etc using the self adhesive edge trim bonding tape. Lay the lining up to the female trim before inserting the male trim into place. The male trims overlap will cover the edge of the lining giving a neat finish to any fabric edge. 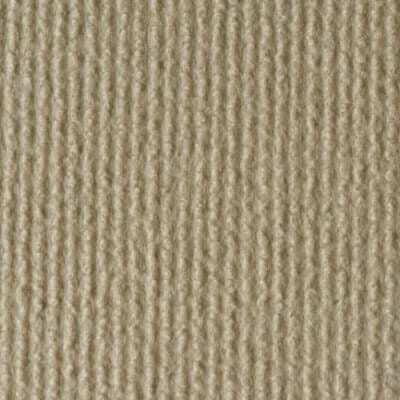 Supplied in 2mtr lengths, available in white or beige. 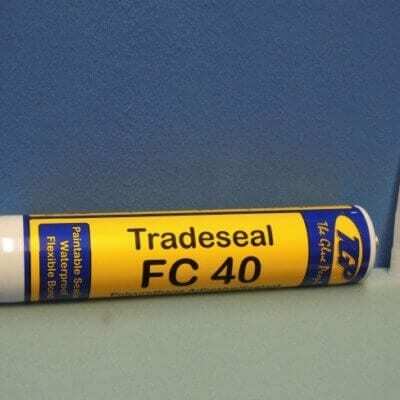 Because this product is plastic based, ordinary adhesives will interact with the plastic causing a bond failure. We sell a special tape that overcomes this plasticiser migration problem.